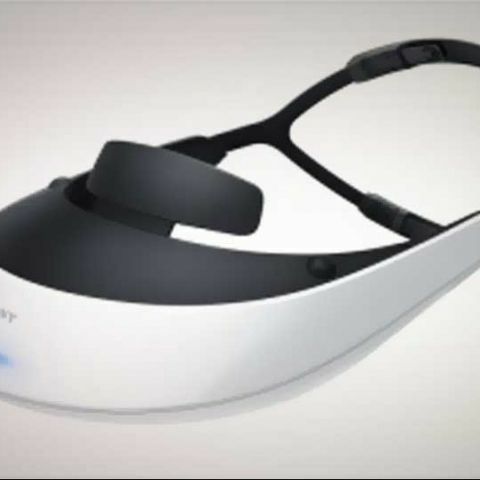 Sony has officially launched its Personal 3D Viewer HMZ-T2 in India for Rs. 69,990. The head-mounted gear, which looks straight out of 90's sci-fi movies, is already available for pre-order at select Sony Experience Stores and is expected ship out around the Diwali season. The Personal 3D Viewer HMZ-T2 comes with a bundled HDMIU cable and can be attached to any device with an HDMI out, be it an XBOX 360, a DVD/BLU-RAY Player or even a receiver. Interestingly, Sony has removed the built-in ear buds that the previous model shipped with, and swapped it out for a regular 3.5mm audio-out jack, making it easy for the user to use any headphone with the unit. This is great if you’re an audiophile, who has invested a lot of money in a set of cans. We got some eyes-on/heads-on time with this cool little thing and we have to say, it was mighty impressive. The content being played was 1280x720p, which is the T2’s native display resolution. We viewed some 3D content too and were pretty happy to see that there was no cross talk between channels. Sony says that the elimination of cross talk is thanks to two individual OLED screens. The screens have a tru-cinematic 24p mode that will allow very smooth playback of 2D and 3D content. We got to hear the audio over regular Sony in-the-ear buds and even at 1/4th the volume, the content sounded quite impressive. We turned on the virtual surround mode, but didn’t really notice much of a difference. Could be due to the tiny earphones or it could also be due to not being able to spend a lot of time with the viewer in a quite environment. 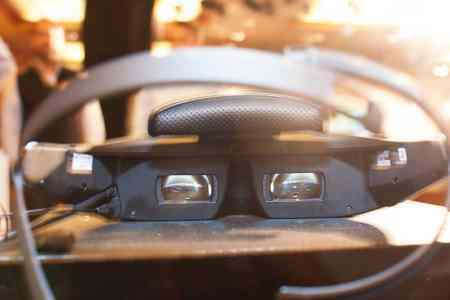 However, the video was absolutely impressive and immersive. Watching Spiderman 3 on these gave us the feeling of actually sitting in a theater, something that no TV can replicate as of yet (unless your TV is the size of a wall). We asked the Sony rep whether the T2 viewer could be used for multiplayer co-op action on a PS3 (provided we had two of these) and the answer was a swift “no”. 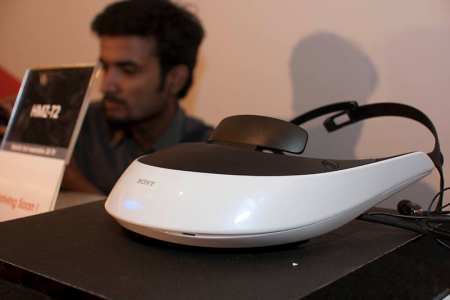 Sony has not yet developed a way to let the PS3 talk to head-mounted rig so it can identify a way to split the signal. Not to mention, a single HDMI-out on the PS3 would make it a little difficult to plug in two of these bad boys. The Sony rep followed up our query by saying that the HMZ-T2 is a personal 3D viewer and multiplayer action isn’t really a “private” thing, so the purpose the device serves becomes different. However, let this not stop you from putting one of these on your head and going online for some crazy fragging action. The Personal 3D Viewer HMZ-T2 is up for pre-order at select Sony Experience Stores with an expected shipping date of sometime mid-November. When SoNy Xperia Z3 will launch in India?